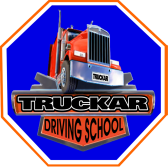 At Truckar Driving School, LLC our goal is to teach students how to become safe drivers, get the driving skills needed to obtain their license in order to become a Professional CDL driver of Buses, Trucks or Tractor-Trailers. We provide car lessons as well as CDL classes to obtain a B/BP license to become a Professional Bus/Truck Driver. The idea of Truckar Driving School, LLC, came about as an inspiration to help the people in the community learn to drive safely and the opportunity to obtain specialty licenses. In reality without driving - America Stops!... "TRUCKAR THE NEW WAY TO THE FUTURE".